So, you had an accident and called your insurance company to report it and things seemed to be going pretty smoothly…. Then you told them you were taking your car to Earl Stewart and everything started getting weird…. The claims adjusters’ demeanor inexplicably just changed…. And NOT for the better!! Suddenly they’re telling you they that have a perfect shop in mind for you that will get your car in and out in a hurry and the whole process will be effortless for you. Yep, it’ll be such a great experience, you’ll be GLAD you had an accident. You thank them politely and tell them you’re just more comfortable repairing your vehicle at Earl Stewart, where you bought the car and know and trust the people. So, I wrote a letter to the Florida Office of Insurance Regulation!! Went right to the top, straight to Commissioner Kevin McCarty (well, his office anyway…. he’s got “people” for that…). After much arm twisting via the Florida CFO’s office, the FLOIR begrudging agreed to “investigate” our concerns. After a couple of months, we received their response “We have concluded our investigation and found no violation of the Florida Insurance Code.”, and my favorite part….“Generally speaking, the burden of proof that an aftermarket part is not of like kind and quality or as safe as an OEM part rests with the one making that assertion, as opposed to one having to prove that the aftermarket part is of like kind and quality and as safe as OEM.” Huh?? That one left me scratching my head. Why have a consumer protection law at all then? Your insurance company can mandate the usage of any part they desire, so long as it looks the same. Nobody really complains though because, as they say, “dead men tell no tales…”The jury’s still out on this one, but rest assured WE WILL NOT USE AFTERMARKET PARTS TO REPAIR YOUR VEHICLE.! (p.s. Also check out Title 49, Chapter 301 Subchapter II Sec. 30122 "Making Safety Devices and Elements Inoperative" in the Federal Code-you can Google it). I must explain that those dealers listed as “Good Guys” are far from perfect. I urge you to shop and compare prices, stick up for your rights, and do your homework in preparing to buy. South Florida is the “Sodom and Gomorrah” of the retail car business. Listing the best dealers is like listing the most honest inmates in Attica or Leavenworth. I arrived at my evaluations of these dealers by my weekly mystery shopping reports that I’ve conducted for more than 7 years. I also gather data from my constant interaction with you, the car buyers of South Florida. You call my weekly Tuesday afternoon talk show, “Earl Stewart on Cars” (stream it live at www.StreamEarlOnCars.com 4-6 PM), my cell phone, and text me, you send me emails, and you write me letters about your experiences in buying and servicing your cars. You post comments on my blog,www.EarlStewartOnCars.com. This list is not static and I update it regularly, adding more “good guys” and dropping the undeserving from the list. Hopefully, I will not have to add to the “bad buy” list very often, but I will if I have to. 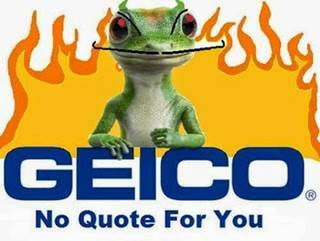 These dealerships are the worst of the worst and should be totally avoided at all costs. 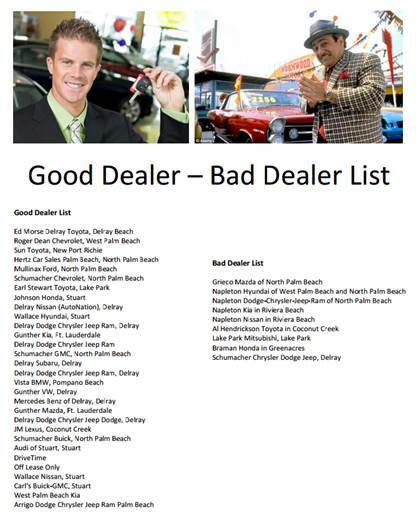 You would be better served to drive an extra 50 miles to buy the make car you seek than buy it from one of these dealers. In fact, you would be better served to buy a different make from a good dealer. If the make car you are seeking does not show a dealer, it’s probably because not many people buy that make. I listed only the most popular. I suggest that you choose a dealer a “good dealer” who is listed that also sells your make. For example, Schumacher also sells Mitsubishi and Infiniti and he is listed as a good dealer for Chevy and Buick. 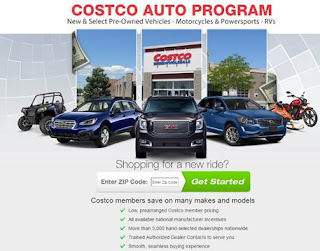 There are lots of third-party new car buying programs out there but the Costco auto-buying program will give you the lowest price and the best protection from car dealers’ efforts to increase the price by dealer fees and dealer-installed options. My second choice is TrueCar, www.TrueCar.com. My first choice used to be TrueCar, but several auto manufacturers including Toyota and Honda, have recently began requiring their dealers to increase the MINIMUM ADVERTISED PRICE for all the cars they advertise and sell. These manufacturers consider TrueCar dealers that share their best price with TrueCar, to be “advertising” their price. Thus you will no longer find a TrueCar dealer’s lowest price displayed on the TrueCar website. In my opinion, this is a bad thing for the car buyer because it has the net effect of raising the price you pay for your new car. Unfortunately, Costco requires an annual membership fee, but this fee is nominal, $55, in comparison to the large savings you realize from buying, not only cars, but all of their products. I’ve been a member of Costco for over 20 years and I can promise you that you will save thousands of dollars a year by shopping there. There’s another problem with buying from Costco and that is there may not be a location near you. My answer to that is that you can still buy from them online, www.Costco.com and, if even if you have to drive 20 or 30 miles, you’ll find out that the savings justify your time and gas expense. The only real problems with the Costco Auto Buying program are not from Costco, but from their car dealers. You probably have had bad experiences buying or leasing cars from car dealers and this is why you’re reading this article. You’re not alone, the Gallup Organization has been conducting an annual opinion poll on Honest and Ethics in Professions for the past 36 years. Last year (2016) car dealers ranked next to last, just above Congressmen. Car dealers have been at the bottom or near the bottom of this list for every one of the past 36 annual surveys. Even though Costco selected their car dealers in good faith and required them to sign a contract obligating them to give you their best price (the price must be lower than the price they sell to anybody else except a Costco member), does not mean that you will get that price UNLESS YOU FOLLOW THESE THREE IMPORTANT RULES. COSTCO AUTO BUYING RULE ONE. Visit the Costco Auto Program website, www.CostcoAuto.com. You’ll be asked to input your Costco membership card number and other information pertaining to the make and model of car you wish to purchase. From your zip code, you will be advised of the Costco approved car dealer nearest you. COSTCO AUTO BUYING RULE TWO. You will also be advised of the names of the Costco approved sales representatives at the dealership. It is imperative that you speak to no other sales person other than those named on this list. You should print out the information sheet which includes the names of those Costco sales people that are approved and bring this to the dealership when you visit. COSTCO AUTO BUYING RULE THREE. When you arrive at the dealership and are sure you’re dealing with the official Costco approved sales person, insist on her showing you the Costco Member-Only Price Sheet which shows your exclusive prearranged Costco member savings. Remember that you are entitled to applicable manufacturer rebates and incentives or special financing. You should also ask to see the manufacturer’s invoice and MSRP for the vehicle you selected so you can see how much you saved as a Costco member. Remember that Costco rules do not allow their approved dealers to add anything to the Costco Member-Only Price except GOVERNMENT FEES…namely sales tax and the actual cost of the rag and registration paid to the state of Florida. If a Costco dealer tries to add anything else, do not buy the car and report them to Costco. Be especially wary of dealer or port installed accessories like nitrogen in tires, LoJack, protection packages like Toyoguard, floor mats, pin stripes, etc. Also, pay no dealer fees which often carry different names like electronic filing fee, tag agency fee, dealer prep fee, doc fee, notary fee, etc. If the Costco dealer attempts any of these shenanigans, report him to Costco immediately. If the dealer refuses to make things right, Costco will cancel him as an approved dealership. For many years used cars that were “certified” by car dealers according to rigid standards set by the car’s manufacturer were considered to be the best, most reliable, and safest used cars you can buy. 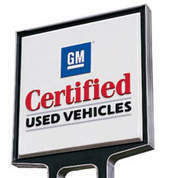 Certified used cars are required by the auto manufacturer to be carefully inspected and tested by the dealer. Only cars that have passed this careful and extensive examination are permitted to be sold as certified. Because of this, certified used cars carry a better warranty and also cost more…about $1,300 on the average. Sadly, a very bad and puzzling decision by the Federal Trade Decision has changed the rules that define “certified” used cars. The FTC, for reasons known only to them, have issued a ruling that allows car dealers and manufacturers to call a used car “certified” and sell that car to you without any consideration for dangerous recalls. This ruling is not only very wrong, but in direct contradiction of the Federal Trade Commission’s existing rules against selling any product that is dangerous to the consumer. The Takata airbag recall affects almost every auto manufacturer in the world. Weekly you see headlines of additional cars being recalled with defective Takata airbags and the pace is so great that millions of these cars have no available fix. Estimates are that it will be years before enough safe replacement airbags will be available to make all these cars safe. Hopefully this lawsuit against the FTC by Rosemary Shahan’s CARS and the other consumer organizations will prevail, but this can take a long time. Sadly, until the FTC ruling is overturned, it’s Caveat Emptor, BUYER BEWARE, when you buy any used car. The only way you can know that the used car being sold to you does not have defective Takata airbag or other dangerous recall is to check your cars Vehicle Identification Number or VIN. Click on the website for NHTSA, www.SaferCar.gov or www.IsMyCarRecalled.com. You should also call your car’s manufacturer because they have information even more current than NHTSA. Do not rely on the reports by CarFax or AutoCheck because they are often inaccurate.